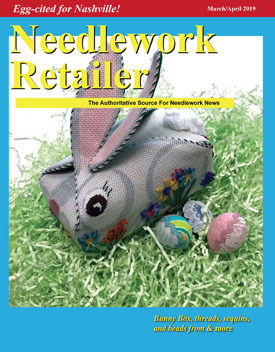 The online version of the Needlework Retailer is available only to businesses. A username and password are required. These can be found in the yellow information box located toward the back of each printed issue. If your business is outside the USA, please call 515-232-6507 or email to receive a temporary password. If your business is inside the USA, please call 800-561-5380 or 515-232-6507.